I already built a few flitetest designs, such as the tiny trainer, the baby blender and the Spear. But I always spent a lot of time taping the printed plans together and cutting them out. 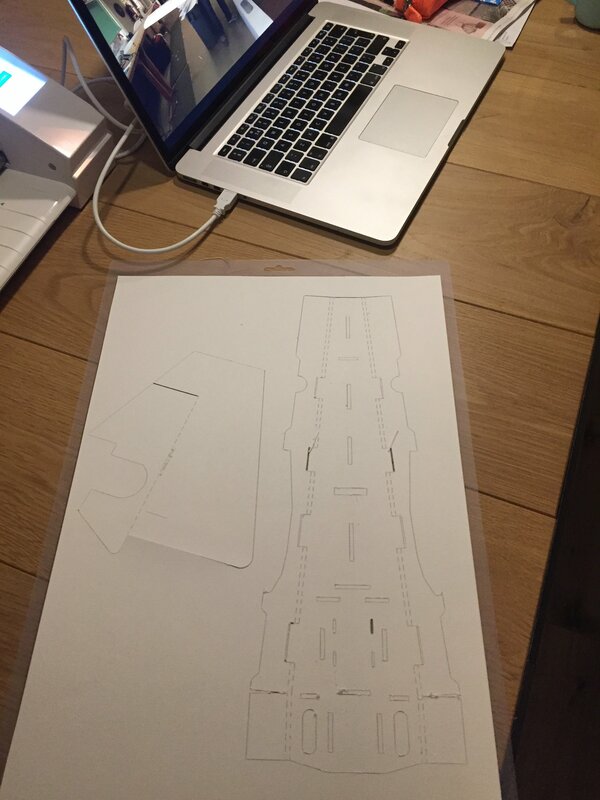 My next plane will be the edge, so that means a lot of cutting and taping together the A4 sheets to make the templates. However recently I gained access to a Cameo Silhouette 3 cutter so I started converting the edge 540 pdf plans to Silhouette Studio compatible files . I'm still waiting for the necessary cutting mat, but once that's in I'll start cutting the templates hoping to save time and gain some higher quality templates. 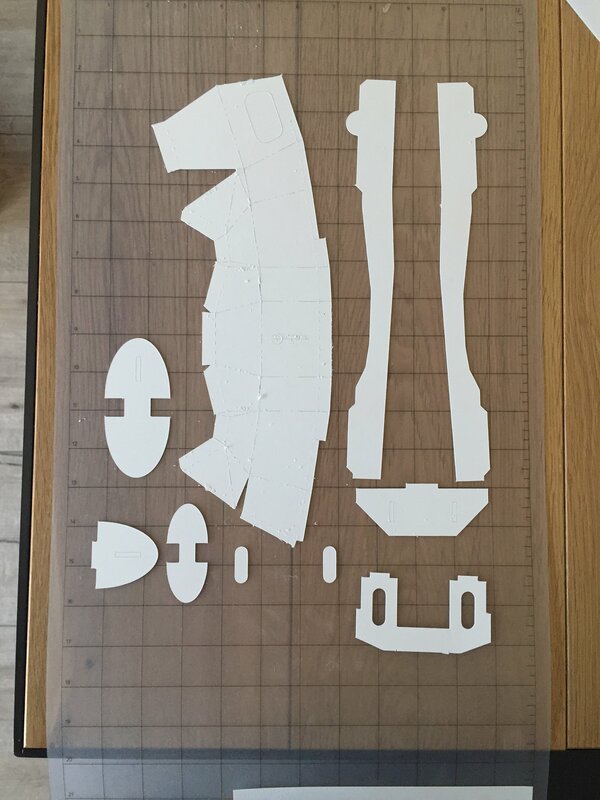 Also I expect It will be cut on A3 cardboard, so I rearranged the parts to fit on A3 cardboard as that's the biggest format I can feed the Cameo cutter. If anyone is interested I'll post the Silhouette Studio files and will post my progress, I added a screenshot as an example. That’s a cool idea good luck with it and let us know how it goes. I have the Cricut machine I will have to look into how it would do the same, thanks for the idea. Yes, let us know how it goes. Do you think either machine would cut FB? I did research this subject on the Circut's ability to cut foam and I came up with three issues. 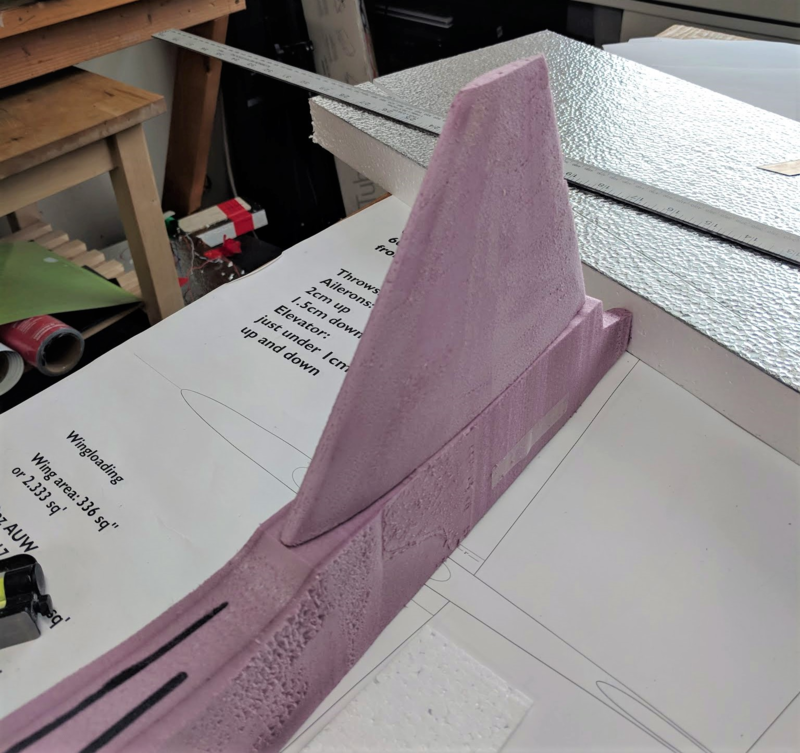 The first is the thickness of foam board oF Adams foam board. The second issues was the cutter knife has the ability to cut but the method they would leave "tacking" marks on the board. The third was you have to purchase their new machine. This is only a quick look at their product but I will leave it to others to look deeper into their product as it may have potential to become a value. Didn't have a lot of time due to work and family, however I did cut out some pieces. Especially the nose part is complicated but turned out pretty well. The score cuts are cut like the plans and I just cut through the template to mark the score cuts (those are a lot of cuts!). Lessons learned, I really need to exclude the text from the image as that takes the cameo a really long time to cut. So I did with the second sheet of cardboard. Also I did not include the score cuts with some of the smaller parts.. Now I have to print them out anyway.. Some tips for anyone attempting to convert flitetest plans to cameo compatible files. 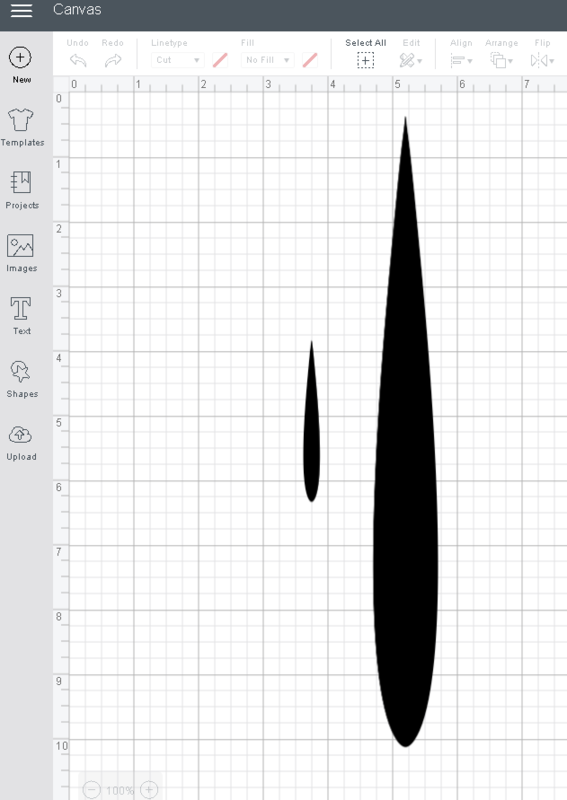 I cropped the individual parts before importing them in Silhouette studio, using png images to have a transparant background. 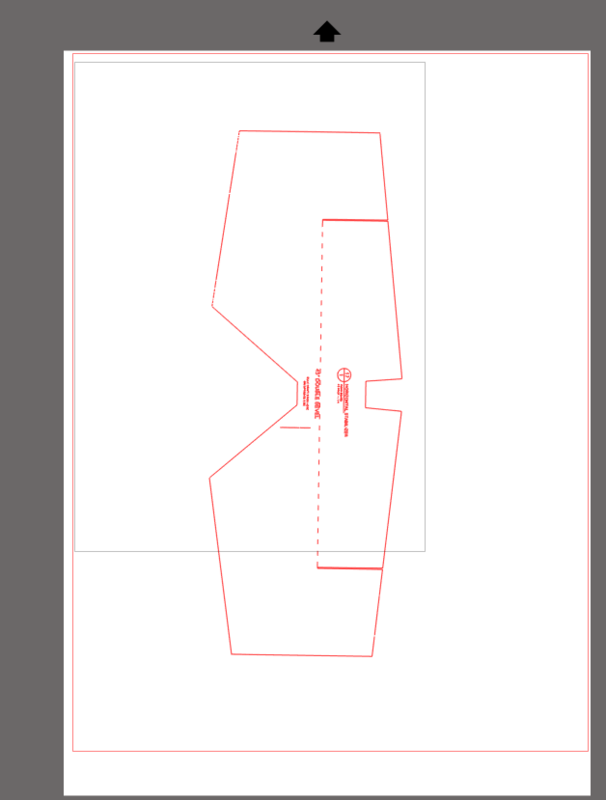 Then using the trace tool to virtually cut out the image, so make sure you are only including lines that need to be cut. Play around with the treshold and use "trace: for complex parts, and "trace the outer edge" for the simple parts. About the benefits. You don't have to worry about the paper warping when tracing the template, as cardboard is much stronger. And I really don't want to think about cutting these templates by hand (especially the complicated ones), either with a scissor or knife. The cameo definitely does a much better job! 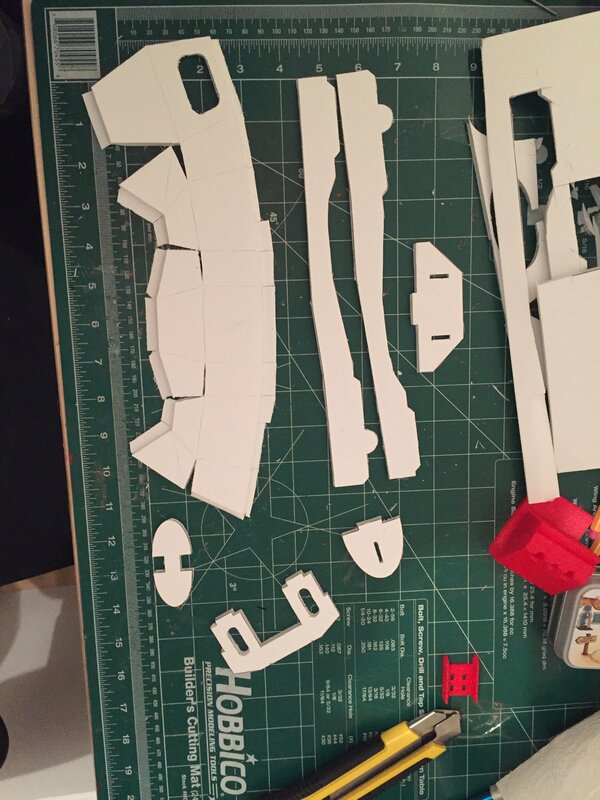 Next is cutting out the second complex part from the fuselage, I'll let you know how it goes. Drew on the foamboard using the template, i kinda looks like the actual plan Next I just score on the outlined parts with a knife, then start the actual cutting. A bit tedious maybe, but I want good results. 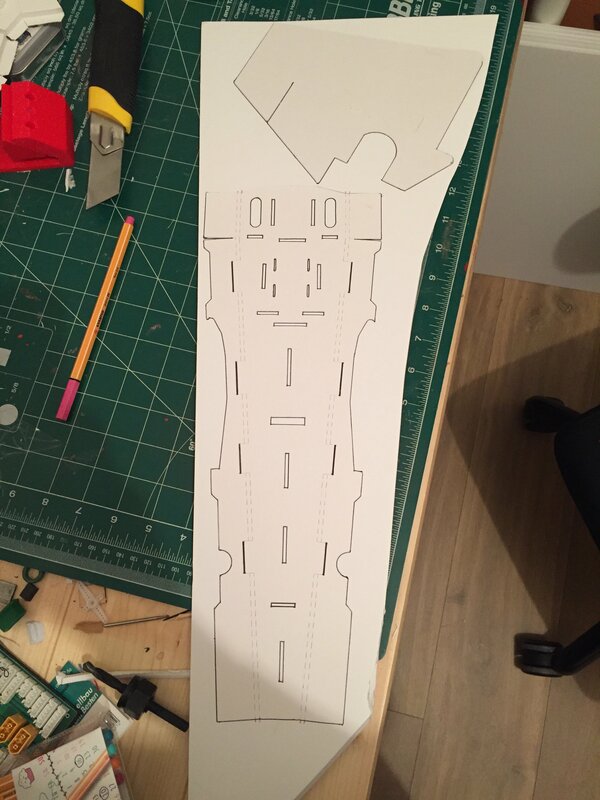 I did a little work with my Cricut and it can cut out basic shape of your project to create templates but you would be left to add the other details needed. Their new, Cricut Maker can do more as it has a roller cutting blade and a knife similar to a hobby knife blade but the knife cut is limited to 2.4 mm depth. And so far the reviews on cutting in not the best, broken blades, and tearing. What I have not check out is the pen feature but would have to purchase the items. Maybe others have used this feature. The roller cutter reviews stated that it can leave unwanted tracks on some materials. If you want graphics for you projects it is a great machine. 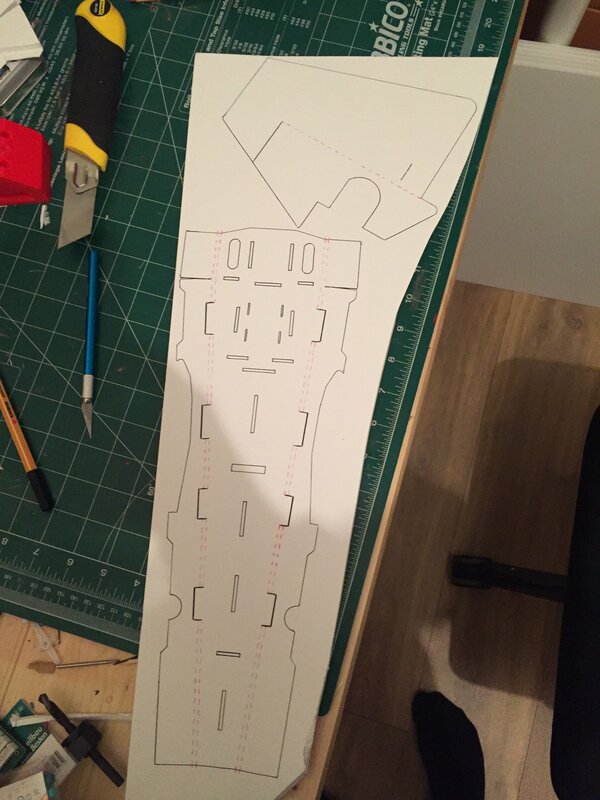 I think that if it cuts out the outline of the parts and you only need to score the plans thats better than nothing. Too bad I don't have such a machine, although my wife talks about it none stop so that might have to change .